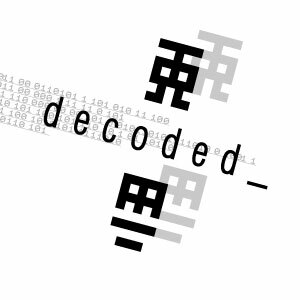 Yes, it’s a new decoded_ show! I’m back, after a couple of months absence. Heaps of fantastic new tracks! I hope you enjoy it, download link below. Check the schedule http://www.pulseradio.net/schedule.php for more details if you want to hear it streaming, otherwise grab the download below. The blue text indicates releases having their debut play on the show. I must say I love your sets, though they’re very hard to come by. I saw on the other site (http://www.oble.net/decoded/) I could download three of them.. What about uploading all of them somewhere? I’m sure me and a few of my mates would be very pleased if you would be willing to take the time for that.